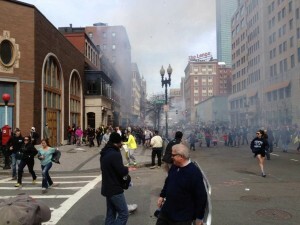 We begin the show with a discussion of the aftermath of the Boston Marathon bombing. First we will hear a brief update from Boston Globe reporter Wesley Lowery. Then Akbar Ahmed, lbn Khaldun Chair of Islamic Studies at American University, and Joyce Davis, author of Between Jihad and Salaam: Profiles in Islam, join us to share their perspectives.